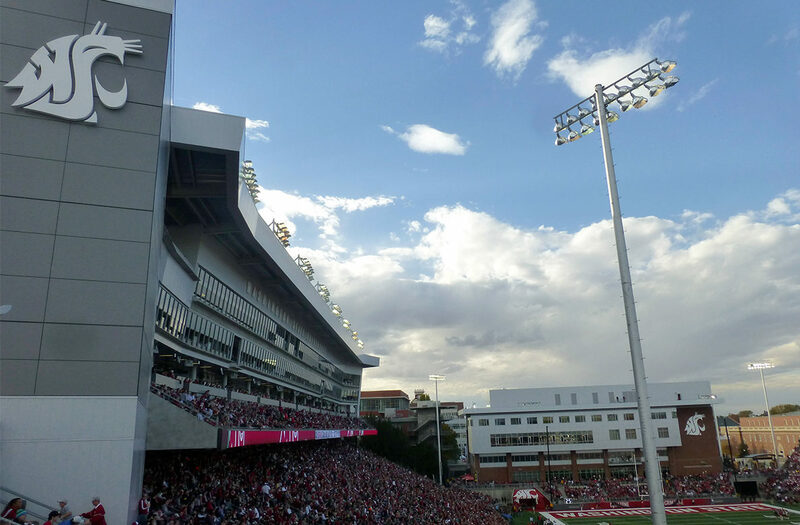 PULLMAN, Wash. – WSU Cougar fans planning to attend this Saturday’s football game need to remember that Washington State Athletics will be implementing a new clear-bag policy for fans entering Martin Stadium. Fans will still be allowed to bring in personal items such as keys, cell phones, wallet, makeup, to name a few, in their pockets if they choose not to use a clear bag. Additional items such as diapers, wipes and other supplies for babies and small children, should be placed in an approved clear bag. The first 10,000 fans at Martin Stadium for this week’s game will receive approved WSU clear bags, as will football season ticket holders, who will be guaranteed one per account. For more information see the WSU Cougars website for updates.